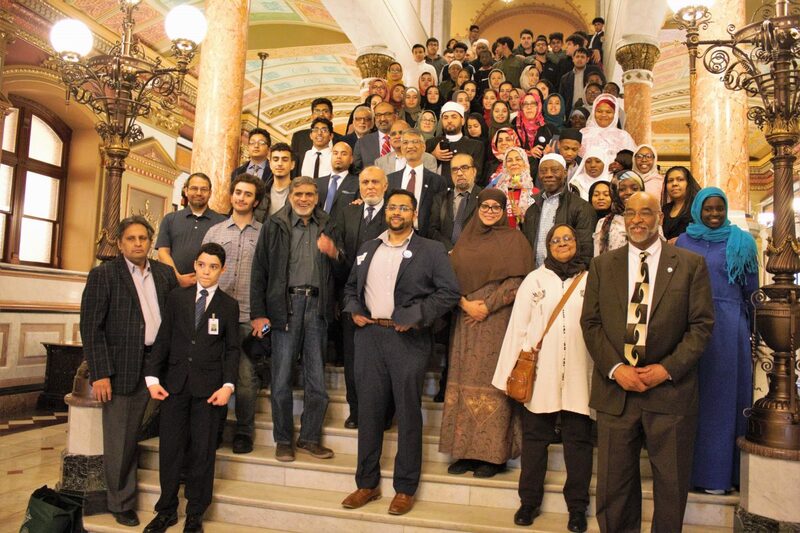 Through Illinois Muslim Action Day (IMAD), CIOGC provides the greater Chicago Muslim community the opportunity to engage with legislators in a meaningful way at the State Capitol in Springfield, Illinois. On Thursday, April 11, CIOGC joined community members to advocate for policies that promote the common good. 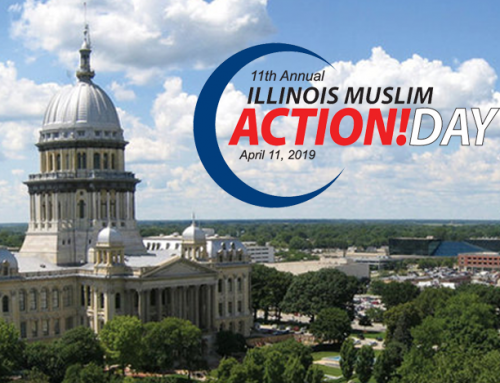 This year’s legislative agenda, as with previous years, is important to not only the Muslim community, but the greater Illinois community. Among the legislative agenda items CIOGC addressed were helping protect immigrant minors who are being separated from their parents, providing confidentiality to a person’s immigration status when seeking justice in a court of law, and enabling immigrants to access state facilities for services without fear of being arrested by federal immigration officials. IMAD served as an opportunity to share concerns about Islamophobia as well as address the matter of all citizens and residents being counted in the forthcoming federal census. Governor J.B. Pritzker was receptive to working with the Muslim community and advancing interests common to all citizens of Illinois. Illinois legislators overwhelmingly supported our legislative agenda as CIOGC met with both familiar and new faces from the Illinois House and Senate. CIOGC anticipates working closely with the legislators and executive branch of government in Illinois on these issues.